Here at Home to Indy, we love working with our clients! We consider it a privilege to walk with people through the home buying process, and we understand that you might have lots of questions associated with it, especially if you've never purchased a home before. One of the common questions we receive is, "Is a home warranty worth it?" We know that you want to protect your new home at all costs, but a home warranty may not be the best way to do that. Before we decide that, let's take a step back and look at what a home warranty is. A home warranty is a contract between a homeowner and a home warranty company that provides for discounted repair and replacement service on a home's major components, such as the furnace, air conditioning, plumbing and electrical system. 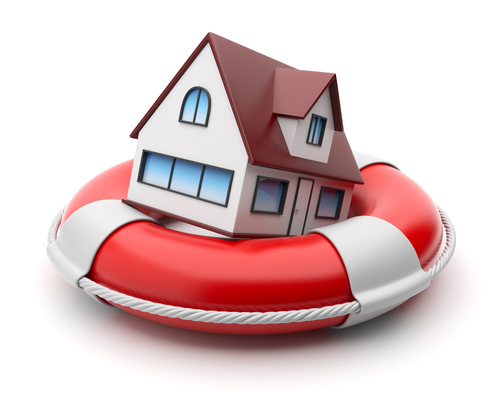 Home warranty companies have agreements with approved service providers. When something that is covered by a home warranty breaks down, the homeowner calls the home warranty company, and the home warranty company sends one of its service providers to examine the problem. If the provider determines that the needed repair or replacement is covered by the warranty, the work is completed. The homeowner only pays a small service fee, plus the money she has already spent to purchase the warranty. A home warranty costs a few hundred dollars a year, paid up front (or in installments, if the warranty company offers a payment plan). The plan's cost varies depending on the property type (single-family detached, condo, townhome, duplex) and whether the homeowner purchases a basic or extended plan. The cost usually does not vary with the property's age, unless the home is brand new, which increases the cost of coverage. The home's square footage also does not affect the price in most cases, unless the property is over 5,000 square feet. In addition to an annual premium, home warranties charge a service call fee of around $60 every time the warranty holder requests that a service provider come out to the house to examine a problem. If the problem requires more than one type of contractor to visit (e.g., a plumber and an electrician), the homeowner may have to pay the service fee for each contractor. Having a home warranty doesn't mean the homeowner will never have to spend a penny on home repairs. Some problems won't be covered by the warranty, either because the homeowner didn't purchase coverage for that item or because the warranty company doesn't offer coverage for that item. Also, home warranties usually don't cover components that haven't been properly maintained. If the warranty company denies a claim, the homeowner will still have to pay the service fee and will also be responsible for repair costs. A home warranty is not a perfect solution to the risks homeowners face. Before purchasing one, homeowners should read the fine print in the home warranty contract and carefully consider whether the warranty is likely to pay off. Home sellers who want to offer a warranty to buyers and homeowners/buyers who would feel more comfortable having a home warranty should also do careful research to find a reputable home warranty company that will actually pay for legitimate repairs when they are needed.